Petrol vs. Diesel: There’s No Contest, But Why? We weigh in on the petrol vs. diesel debate, and which is the most economical for towing. > Caravan > Petrol vs. Diesel: There’s No Contest, But Why? 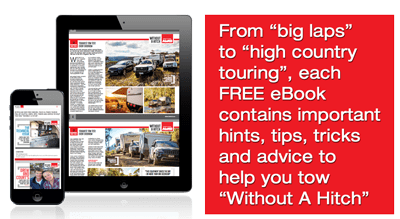 Asking a group of seasoned caravan owners Petrol vs. Diesel, which is the more economical fuel type for towing a caravan will elicit a dozen opinions, even if there are fewer than a dozen people present. However, the consensus is likely to be that – spoiler alert – diesel wins on economy. So we need to reframe the question: how is diesel more economical than petrol? Diesel motors generate more torque – torque can be described as pulling power, or the motor’s willingness to turn the drive shaft. This is so for a variety of reasons, including high turbo pressure, high cylinder pressure and longer piston stroke length. The difference between diesel and petrol engines is similar to the difference between body builders and 100m sprinters, or strength versus power. However, the primary reason is that, by volume, diesel has 10-11 per cent more energy potential than petrol. Despite diesel’s tendency to be more expensive at the bowser (albeit marginally at the time of writing), these benefits translate to superior towing capacity. Diesel motors have another advantage – they’re less likely to break down. Reasons for this are their fundamentally different ignition system, less corrosive byproducts and, perhaps most importantly, a higher compression ratio, which demands that the engine is more robust. On the other hand, when things do go wrong, a diesel can cost you more to fix and requires a specialist mechanic. In the end, it all comes down to how well you maintain your vehicle and how much you demand of it. It’s more than in the ownership too – diesels tend to hold steadier resale values than those of their petrol equivalents. There are many reasons for this, but the obvious ones are the promise of economy and reliability. Additionally, because the petrol market is bigger overall, there is more development there – models change regularly. Meanwhile, in diesel and specifically towing-class vehicles, model lines and motors tend not to change as much in line with their niche appeal. It’s worth noting that some vehicles will be bought as a second car with the primary purpose of towing and travelling, such as a LandCruiser or Hilux, whereas cars like the Grand Cherokee, Prado and Sorento are more likely to be used daily and are therefore easier to justify. Interestingly, LandCruiser’s old foes, Mitsubishi Pajero and Nissan Patrol, have split each way – Pajero only comes in diesel and Patrol only comes in petrol, so there are no comparisons there. The bottom line is that the more you drive your diesel, the more likely you are to recover the premium you paid at the time of purchase. In spite of the higher entry cost, diesel is the most economical fuel for towing. Its efficiency, torque and reliability will give you piece of mind whether you’re lugging your van through peak-hour traffic or you find yourself literally out the back of Bourke. Find out which diesels made it into the top five towing vehicles of 2015.